Only son (with two sisters) of Maj. Charles Godfrey Morris Place, DSO, MC (1887-1931), and Junior Commander Anna Margaret Stuart-William, ATS (1895-1949). Married ((12? ).1943, Grimsby district, Lincolnshire) Third Officer Althea Anningson Tickler, WRNS ((09? ).1921 - ), daughter of Harry Tickler, and Bertha Anningson, of Bargate, Grimsby; one son, two daughters. * Lieutenant Place, commanding the Midget Submarine X7, along with Lieutenant Cameron, commanding Midget Submarine X6, on the 22nd September, 1943, at Kaafjord, Norway, carried out a most a daring and successful attack on the German Battleship Tirpitz. Lieutenant Place found a gap in the outer net at 4am on the 22nd September. He waited for a minesweeper to come out before taking the X7 through the opening. Unfortunately the X7 ran into a torpedo net. After going full astern and flooding and blowing the tanks, they got through. At 6:40am, he sighted the Tirpitz, approximately 1700 yards away. X7 got stuck in another net and on freeing itself they broke surface, 30 yards from the Tirpitz. They submerged and made contact with the Battleship, approximately 20 ft below its B Turret. They edged below, and under the keel, lined up, fore and aft, with the enemy ship. The X7, then dropped her starboard charge, after which, she went astern for 150 yards or more before dropping her second charge. Education: The Grange, Folkestone; RN College, Dartmouth (01.01.1935-02.08.1938; Exmouth House; House Cadet Captain; Admiralty No. 1507). Chairman, VC and GC Association, 1971-94; Lay Observer, Royal Courts of Justice, 1975-78. Literature: Rear-Admiral Godfrey Place, VC. In: David Twiston Davies (ed. ), The Daily Telegraph book of naval obituaries (2004), p. 135-140; Place, Basil (1921-1994). In: Alastair Wilson and Joseph F. Callo, Who's who in naval history (2004), p. 249; Paul Watkins, Midget submarine commander : the life of Godfrey Place, VC (2012). Son of Frederic John Platt, and Harriet Wilmot Leverich. Education: RN College, Dartmouth (1932?-22.12.1936; Hawke Term; Admiralty No. 1322). Son of Jacob Pleydell- Bouverie, 6th Earl of Radnor (1868-1930), and Julian Eleanor Adelaide Balfour (1866-1946). Brother of Capt, the Hon. Edward Pleydell-Bouverie, MVO, RN. Married (05.12.1931, Malta) Anita Estelle Henrietta Costiander, daughter of Colonel Torsten Waldemar Costiander, of Helsingsfors, Finland (divorced 1942). Second son (with four brothers and five sisters) of Jacob Pleydell-Bouverie, 6th Earl of Radnor (1868-1930), and Julian Eleanor Adelaide Balfour (1866-1946). Brother of Cdr. the Hon. Anthony Pleydell-Bouverie, DSC, RN. Married (02.05.1936) Alice Pearl Crake (06.01.1895 - 10.04.1996), widow of John Walter Edward Douglas-Scott-Montagu, 2nd Baron Montagu of Beaulieu (1866-1929), and daughter (with one sister and two half-sisters) of Maj. Edward Barrington Crake (1854-1910), and Clara Alice Woodroffe (1868-1954); one son. Deputy Lieutenant (DL), Southampton, 16.02.1948. Verderer of the New Forest since 1945. Chairman of the New Forest Rural District Council, 1948-1951. Chairman of the New Forest advisory committee. In 1947 elected Chairman of the New Forest and Christchurch Conservative Association. Elizabeth Louisa Maria Grosvenor, only child of Col. Francis Augustus Plunkett Burton, Coldstream Guards. Married (15.04.1916) Kathleen Meda Irene (died 1980), only daughter of Quintin Chalmers, MD; one son, four daughters. Justice of the Peace (JP). Deputy Lieutenant (DL), Dorset, 28.10.1941. Married (1931) Leila Helen Beatrice Sly; two sons. Son of William Poland, Blackheath. Married (1912) Phyllis (died 1968), daughter of Dr Robert Ambrose Weston, LRCP, Portsmouth; one daughter [who married Capt. Charles Thorburn Addis, DSO, RN], and one son (Lt. William Anthony Weston Poland, RN, lost in HMS Thetis, 01.06.1939). Residence: (1947) Berins Hill, Ipsden, Oxfordshire. 2nd son of late Major Raymond A. Poland, RMLI and Mrs F.O. Bayly Jones. Ruth Margaret Pechell; three sons, one daughter (and one daughter deceased). Son of George Hume Pollock (1870-1924) and Margaret Agneta Harington (1871-1954). Married (18.06.1938) Patricia Aileen Domville Heming; one daughter. Son of Dr. Edward Stoute Pollock (?-1949), and Mary Ethel King, of Exeter, Devonshire. Married (03.09.1930, Holy Trinity Church, Formby, Ormskirk district, Lancashire) Gertrude Brenda Prangley ((06? ).1901 - 21.05.1984), second daughter of George Dean Prangley (1866-1942), and Mabel Archbould (1870-1911), of Formby, Lancashire; one son, one daughter. Son of late C.A. Pollock and Mrs G. Pollock. Bermuda; two sons, one daughter. Married 2nd (1954) Marjory Helen Reece (née Bisset); one step daughter. Education: RN College, Dartmouth (1930-1933). Bath King of Arms, 1976-1985. Chaiman, Naval Insurance Trust, 1976-1981; Liddell Hart Trustee, 1976-1981. Local Councillor, 1986-. Son of Mr and Mrs Archibald William Pomeroy. 1910 ? Education: SATS General Botha (1927-1929). Served Merchant Navy (P & O Company). c. 1954 Naval Trials Officer during Germ Warfare Trials in the Bahamas aboard the Landing Ship "Mother Ship" LST 3102 "HMS Ben Lomond"
Returned to Merchant Navy for a few years. Published: The first thirty years. In: Both watches (periodical of South African Nautical College “General Botha”), late 1950s. Son of John and Eleanor Pomfret. Married (1928) Carlene Blundstone; one son, two daughters. CStJ (1957). Played First Class cricket for the RN in 1929. Youngest son (with two brothers) of Cdr. Rowland Kyrle Cecil Pope, DSO, OBE, RN (1888-1976), and Agnes Jessie Macdonald (1894-1968), of Billingshurst, Sussex. Brother of R.Adm. Michael Douglas [Kyrle] Pope, CB, MBE, DL. Married 1st (21.04.1943, Horsham Parish Church, Horsham, Sussex; marriage dissolved) Pamela Mary Davies, WRNS, elder daughter of Arthur H. Davies, and Mrs Davies, of Rookery Wood, Slinfold; five sons. Education: RN College, Dartmouth (01.01.1935-02.08.1938; Hawke House; Admiralty No. 1508). Deputy President, Royal Naval Association. Eldest son of Cdr. Rowland Kyrle Cecil Pope, DSO, OBE, RN, and Agnes Jessie Macdonald, of Billinghurst, Sussex. Brother of V.Adm. Sir John Ernle Pope, KCB. Married 1st (1940) Elizabeth Kelso (divorced). Married 2nd (1947) Angela Suzanne Parlby (née Layton) (born 1921); one son, one daughter, one step-daughter. Deputy Lieutenant (DL), Hertfordshire, 08.12.1983. General Manager of the Middle East Navigation Aids Service, Bahrain, 1971-1977. Dean’s Administrator at St Alban’s Abbey, 1977-1980. Director of the Jerusalem & the East Mission Trust, 1978-1992. County President, Royal British Legion, 1987-1995. Son (with four sisters and one brother) of Rev. Andrew Pope (1844-1924), and Harriet Mary Ernle Money-Kyrle (1848-1937), of Upton Bishop, nr Ross, Herefordshire. Married (22.07.1915, Holy Trinity Church, Paddington, Middlesex) Agnes Jessie Macdonald (1895? - 23.09.1968), daughter of Donald Macdonald, of Hong Kong; three sons (R.Adm. Michael Donald [Kyrle] Pope, CB, MBE, RN, Maj. Andrew Alec Kyrle Pope, KSLI [killed in action 06.06.1944], V.Adm. Sir John Ernle Pope, KCB). Deputy Lieutenant (DL) 12,05,1952 & High Sheriff 1968, Herefordshire. Son (with four brothers) of the second marriage of Edward Robert Portal, JP, DL (1854-1953), country gentleman and former barrister, and Ellinor Kate Hill (1866-1946), of Sulham, Pangbourne. Brother of Marshal of the RAF Sir Charles Frederick Algernon Portal. Married 1926, Helen (died 1983), daughter of late Frederick Anderson; two sons two daughters. Brother of Marshal of the RAF Sir Charles Portal. Son of Lieut. Jack Parford Porter, RN, and Edith Florence Porter; husband of Mary Knowles Porter, of Rickmansworth, Hertfordshire. Married Pamela "Jackie" Nash; one son, one daughter. Third son of Col. William Pott, of Steyning, Sussex. Brother of Lt.Col. E.H. Pott, Maj. W.T. Pott, and Col. D. Pott. Married (08.01.1931, St Paul's, Knightsbridge) Mary Grant, third daughter of F.M.S. Grant, Knockie Lodge, Inverness. Eldest son of Alfred John Pound, barrister, and Elizabeth Pickman Rogers, of Boston, USA. Married (14.10.1908) Bessie Caroline Grace Whitehead (died 1943), daughter of John Livesay Whitehead, physician, of Ventnor, Isle of Wight; two sons (Capt. Martin Pound, RM & Capt. George Dudley Pound, RN), one daughter. Royal Humane Society's Bronze Medal (accident aboard HMS Superb 30.06.1911); Officer of Legion of Honour (France) 12.12.1919; Rising Sun 3rd class (Japan) 08.03.1920; DSM (USA) 12.12.1919 Education: Fonthill, East Grinstead; The Limes, Greenwich; HMS Britannia, etc. Son of Edward Cotton Powell (1846-1922), and Anne Caroline Ingram (1866-1940). Married (28.07.1928, Sopley, Dorset) Mary Eveleen Grindle (1895-1956). Education: RN College, Osborne (1907). Son of E.E. Powell, and Jane Sutcliffe Jinty. Fishery officer, Ministry of Agriculture and Fisheries, 1937. Son of James Powell, of Pylewell, Hythe, Southampton & Hyde Park, London, later of Lower Lockhams, Botley, Hampshire. 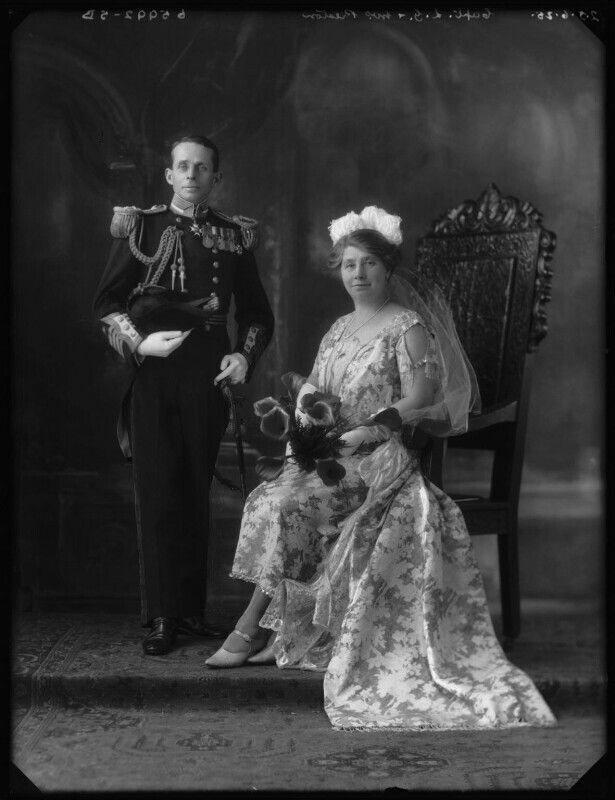 Married (1914) Gertrude Eileen Blenkinsop, daughter of late Lt.Col. F. Blenkinsop, IMS; one son, three daughters. Education: Eton (1st semester 1901-1st semester 1902); HMS Britannia. * Has been in command of `G.4' for eighteen months during which time he has often been on patrols near our own and enemy minefields. He was especially selected for a trip down to the Kullen and entrance to the Belts when after a long interval a submarine was sent there on receipt of special information. Married 1st (1918) Amy (died 1945), eldest daughter of Col. D.A. Bingham; three sons (V.Adm. Sir Arthur Mackenzie Power, KCB, MBE). Married 2nd (1947) Margaret Joyce, Second Officer, WRNS, only daughter of A.H.St C. Watson, Penfold House, Hendon, NW4. 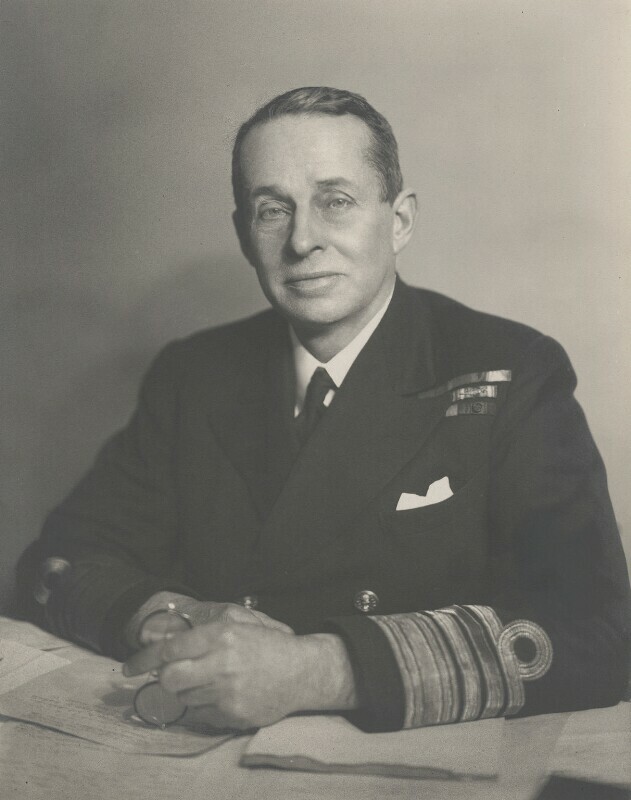 Son of Admiral of the Fleet Sir Arthur John Power, GCB, GBE, CVO. Son (with two sisters) of Admiral Sir Laurence Eliot Power, KCB, CVO (1864-1927), and Muriel Want. Married (02.08.1930, Freshwater Parish Church) Barbara Alice Mary Topham, elder daughter of Alfred Frank Topham, KC (1874-1952), and Alice Charlotte Kennedy, of Yarmouth and London; one daughter, one son deceased. County Court, Isle of Wight, 1964-1974. Deputy Lieutenant (DL), Hampshire, 1965-1974. Deputy Lieutenant (DL), Isle of Wight, 1974. Only son of V.Adm. Frederick Armand Powlett, CBE (1873-1963), and Nora Chaplin (1888-1934). Married (1935) Frances Elizabeth Sykes Elwell, daughter of Edward Elwell, of Cranbrook, B.C., Canada; two sons, one daughter. Education: Newlands School, Seaford; RN Colleges, Dartmouth & Osborne (19201924). Deputy Lieutenant (DL), Norfolk, 1974. Naval Regional Officer, London Area, 1972-1980. Elected to Waverley Borough Council, 1983, and up to 1992 was Chairman, then Vice-Chairman, of the Finance Committee. From 1992 onwards, committee member of his local Conservative Association and Residents' Association. Son (with one sister) of Henry Simcox Pratt (1861-), and Helen Constance Hodson (1866-). Called to the Bar, Inner Temple, 03.07.1935. Post-war joined the Church. Ordained a Priest in the London diocese (from Salisbury), 12.06.1949. Son of George Frederick Preston (1857?-1905), and Maria Bennett Everitt (1851-1921). Married 1st (04.01.1902, Wembdon, Bridgwater, Somerset) Emily Elizabeth Bryant (1869? - 01.02.1958), elder daughter of Edgar Bryant; one son. Married 2nd ((03? ).1958, Leicester district, Leicestershire) Ivy Lily Record (01.11.1903 - 30.03.1989), daughter of Charles Record, of Sheppey, Kent; one son. * special promotion: for seamanlike handling of HMS Bruiser in heavy weather off Malta, and on a dark night, when, by taking bis ship alongside HMS Ariel, which was rapidly sinking, the majority of the officers and crew were saved Education: Stubbington House, Fareham, Hampshire; RN College, HMS Britannia (15.07.1888-06.1890). Published: Sea and river painters of the Netherlands in the seventeenth century (1937). Married 1st Frances Louise Randle. Son (with one sister and three brothers) of Walter Treverbian Prideaux (1875-1958), and Marion Fenn Arbuthnot (1878-1958). Married 1st (01.04.1944, Tonbridge district, Kent) Eleanor Abigail Broome (1921 - 23.02.2014), daughter of George Broome; one son, one daughter. Married 2nd ((03? ).1970, London City) Elizabeth Constance Griffin, daughter of Dr Charles Norman Griffin. Member of General Board, National Physical Laboratory, 1943-1948. Published: Close of a dynasty (1956). Son of P.H. Pridham Wippell, Barrister-at-Law, Thorverton, Devon, and Clara, daughter of Wm Ascroft, Oldham. Married (1918), Elsie, daughter of late J.H. Crouch, Hove, and widow of Lt­Com. A.G. Onslow, DSC, RN; one son, one daughter. Order of the Nile, 4th class (Egypt) (17.05.1918) Education: The Limes, Greenwich; HMS Britannia; Imperial Defence College. Son (with one sister and one brother) of Robert Chambers Priestley (1857-1937), and Ida Mary Smith (1864-1944). Married (15.03.1917, Devonport district, Devonshire) Millicent Christine Allan (19.01.1889 - (12?. )1969); one daughter, one son. Married (1940) Frances Mary Salkeld; one son, one daughter. Married Margaret Kesia ...; .. children (one daughter? ).